Ben Sherman men's 1960s mod Soul Power floral shirt in blue. 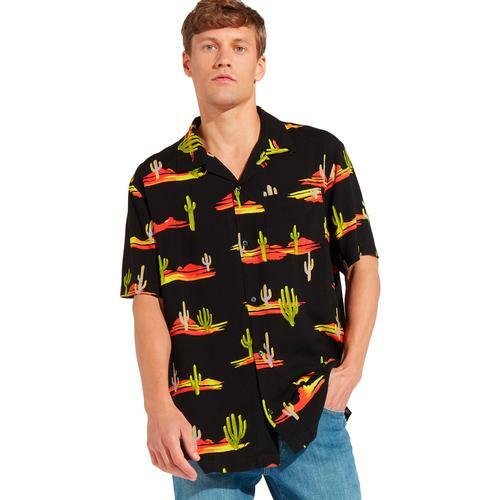 A striking vintage 60s floral pattern is utilised to maximum effect on a garment that blends a retro Hawaiian shirting aesthetic with the cut and style of the traditional Ben Sherman mod short sleeve button under shirt. Abstract waves and cloud like motifs are interspersed amongst the fab retro floral pattern conjuring up a real Beach Boys Surfin' Safari vibe. Ben Sherman's affiliation to music is re-enforced with the 'Soul Power' tagline that weaves it's way through the vivid printed fabric. Perfect retro clothing for the summer season. 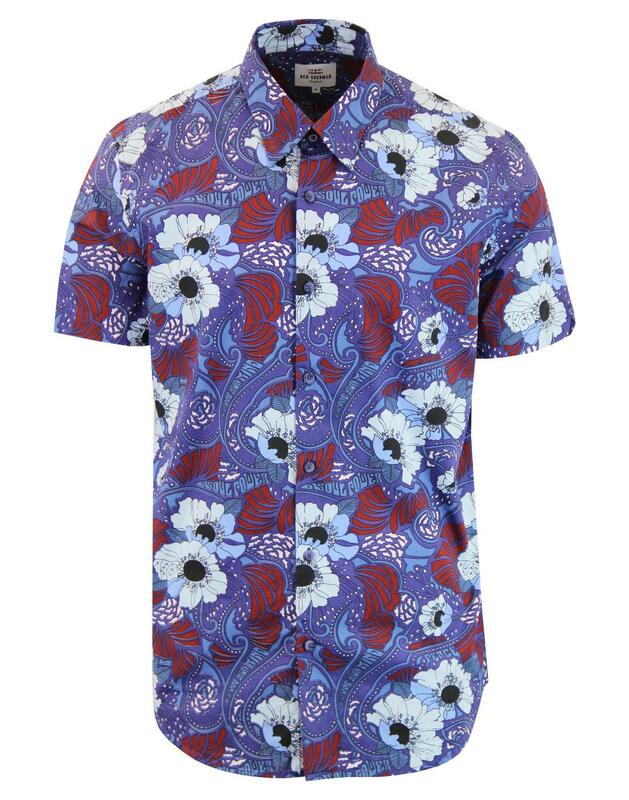 The Ben Sherman Soul Power floral shirt is ideal vacation attire! 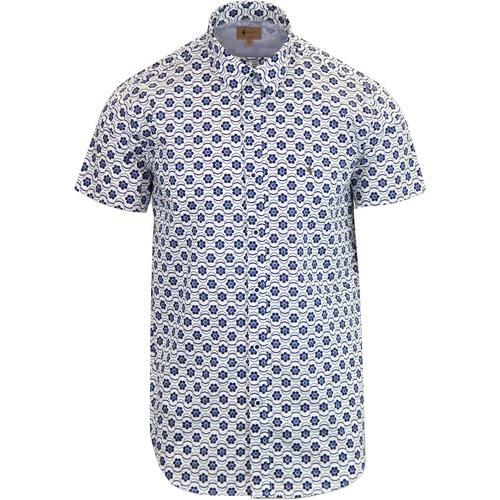 - Ben Sherman 'Soul Power' men's retro floral shirt in blue. - Short sleeve men's shirt in Ben Sherman mod regular fit. - Retro 60s floral print with wave and cloud details and 'Soul Power;' tagline. - A combination of blue shades mixed with deep red and white. - Colour: 0049010/150 Soul Power Floral Shirt.